Most diets are not sustainable. Whether it is a vegan diet, low-fat diet, or low-calorie diet, we tend to revert back to the most convenient way of eating that we can find. Just thinking about preparing meals in a new way, on a new schedule, with new ingredients consumes so much energy and time that eating becomes a chore. For example, you will start getting noticeable results on the ketogenic diet after about 3 weeks, but it may be too much of change that you won’t make it that far. At first, it seems so complex and inconvenient that you lose patience and revert back to your old lifestyle. This is a common cycle that we all go through when we make any lifestyle change, but the change itself isn’t the problem. The real problem is inconvenience and complexity. 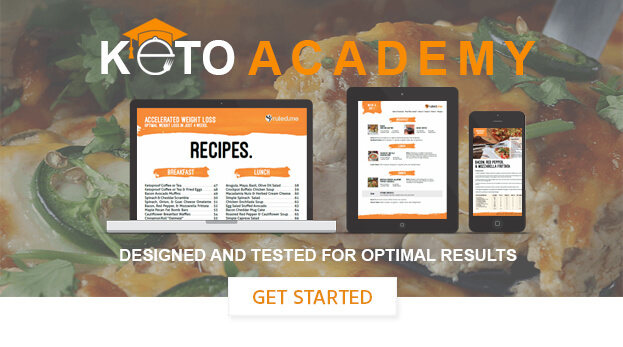 The solution is to transform daunting dietary changes into a convenient lifestyle and Ruled.me is here to help you do that with the ketogenic diet. Yet, you don’t have to binge on our content to learn how. There is one secret weapon that you can start using right away without having any knowledge of cooking, health, or ketogenic diets — the “Fat Bomb”. 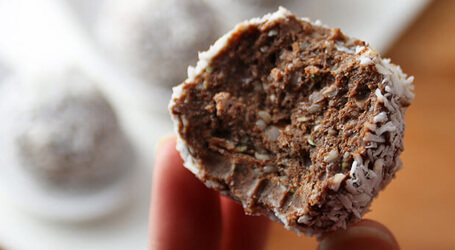 Fat bombs are a delicious combination of ketogenic ingredients that you can have as a snack, dessert, or meal replacement. They contain over 90% fat, are easy to make, and come in a variety of different flavors from the Savory Pizza Fat Bombs to the sweet Maple Pecan Fat Bomb Bars, and everything in-between. On top of all that, fat bombs provide many health benefits that you won’t get from eating a high protein meal like the Herbed Roast Chicken with Brussels Sprouts. This is because high protein meals provide us with extra protein that may be used as fuel instead of fat. Fat bombs, on the other hand, are so high in fat and low in protein that they will help you burn more fat for fuel and stay in ketosis. This provides ketogenic diet newcomers with a ketosis kick start and long term ketogenic dieters with an increase in energy and weight loss. The two most common ingredients that are found in fat bombs — coconut oil and high-fat dairy — have many health benefits as well. 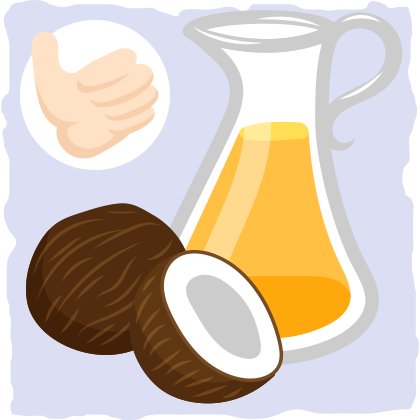 Coconut oil, for example, provides the body with supplemental ketones. This is because coconut oil contains medium chain triglycerides (MCTs), which are a type of fat that are absorbed quickly and used as fuel (more on this later in the article). Even fat bombs that contain high-fat dairy have unique health benefits because they contain vitamins, minerals, and a fatty acid called conjugated linoleic acid (CLA). This fatty acid has been found to prevent heart disease, increase immune function, and decrease body fat. CLA is found in higher quantities in dairy that comes from healthy 100% grass-fed cows (keep this in mind when you start looking for high-fat dairy to put in your fat bombs). Later in the article, we will dig deeper into the science of why fat bombs are so beneficial. 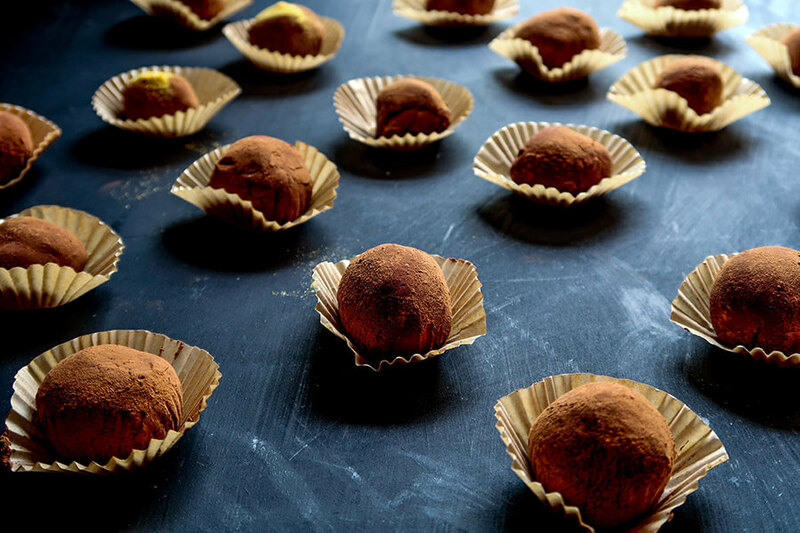 But now, let’s get practical and learn how you can make your own delicious fat bombs. Step 1 — What Flavors and Textures Do You Want? Before we get into the basics of what it takes to make a fat bomb, you must figure out what kind of flavor experience you want. Savory, sweet, sour, bitter, crunchy, chewy, melty, cheesy, and spicy can all put in a fat bomb (although, I wouldn’t suggest combining them all at once). Almost all fat bombs require a fat base that will solidify when it is refrigerated and stay solid at room temperature (softening is fine). The most commonly used and reliable fat bases are coconut oil and butter (100% grass-fed butter is the healthiest). 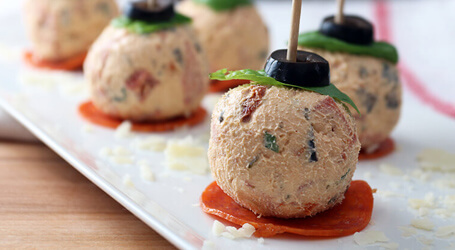 Another fat base that can be used is cream cheese — which is part of the reason why the Savory Pizza Fat Bombs are so good. If you would like to experiment with other less common fat bases, you can try using animal fats like tallow or try melting and reforming cheese with your ketogenic ingredients in it. Once you’ve found your fat bomb fat base, scavenge your cupboard or go to the store to find ingredients to put into your fat bomb. 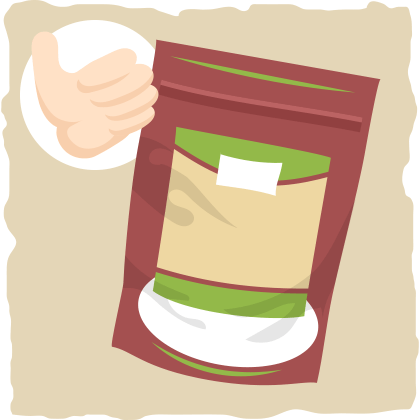 A couple ingredients to always have on hand are salt, a calorie-free sweetener like sucralose or erythritol, and your favorite powdered herbs and spices. Use this list, your imagination, and your palate to guide you to fat bomb heaven. The flavor combinations don’t stop there, you can add many types of ingredients and this list is just a few ideas to get you started. Take your fat base and your delicious ketogenic ingredients and put them all together into one delicious ball or bar. To do this, you can melt or soften your fat base and blend or mix in your ingredients. The softened fat base can be formed into balls or bars (whatever shape you prefer to consume) and refrigerated. The melted fat base can be transferred into a container, tray, or plate and refrigerated until it is solid. It’s that simple. The hard part is learning how to make a tasty fat bomb that looks good. Though keep in mind that fat bombs don’t always have to look like a piece of candy or a rolled ball. You can have fat bombs in many different forms like cookies, mug cakes, or other meals like salads. If you are not sure how you could possibly make a fat bomb on your own yet, here’s the simplest fat bomb recipe (that I use the most). That’s right, you can make your own chocolate fat bomb, and all it takes is two ingredients — cacao powder (the healthiest is raw organic cacao powder) and coconut oil. It is best to start with a smaller amount like a quarter cup of each. Once you develop a delicious recipe, however, all restrictions are off — make as much chocolate as you desire. It can save well and be portioned out if you store it in the refrigerator. Now that you have your chocolate liquid, turn off the heat source and add in what you want to be in your chocolate. You can put in a bit of erythritol, stevia, or sucralose for some sweetness, mix in your favorite nuts for some crunch, or add in some cinnamon and vanilla to give it a unique twist. Once you have finished mixing in your extra ingredients, pour it into a plate, cookie sheet, or silicone container, and put it in the fridge until it solidifies (2-4 hours). Go to the refrigerator, break off a piece of your chocolate, and enjoy. Yes, it is that easy to make a fat bomb. It will not look as beautiful as store-bought chocolate bars, but it will still be tasty and much healthier. It doesn’t get any easier than that chocolate fat bomb recipe, but what if you want to make a fat bomb that serves as a convenient meal replacement? 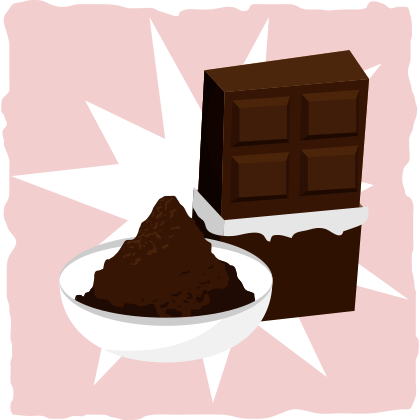 Although some of us wish we could, we can’t just eat a pound of chocolate and satisfy our nutrient needs. This is where nutrient-dense fat bomb recipes like the Salmon Benny Breakfast Bombs save the day. With 10 ingredients and 17 steps, however, this recipe looks dauntingly complex — especially when you compare it to the chocolate fat bomb recipe. But even this fat bomb is easy to make and when you are finished you will feel like a culinary expert. You can find the recipe and try it out for yourself by clicking here. These fat bombs serve as a (better than) pizza replacement. They are super rich, decadent, and velvety in the mouth, extremely easy to make and eat, and just plain delicious. 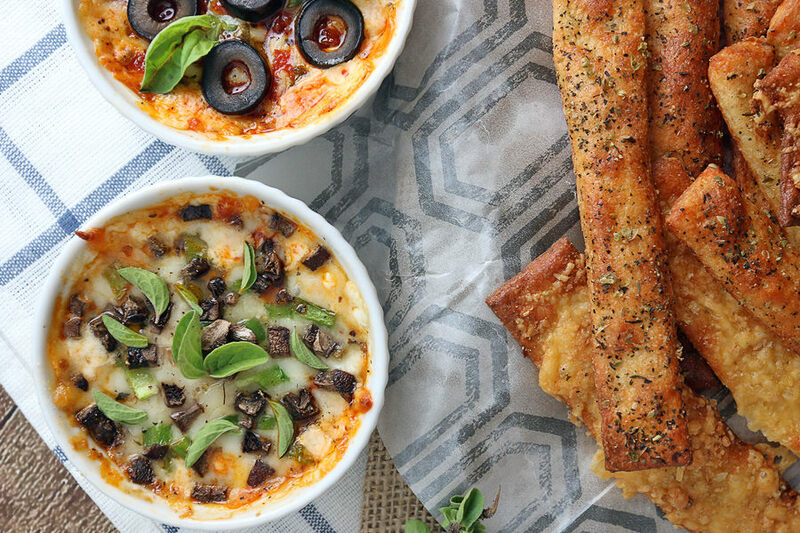 Feel free to serve as appetizers or just portion them out for yourself as a way to get more fats into your meals. 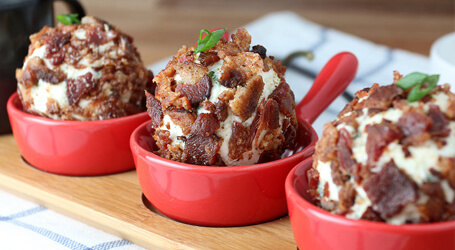 The flavor of these fat bombs are exactly what you’d expect – a bit spicy, very creamy and rich, and packed full of bacon flavor. They are quick and easy to make, and you can throw them in a plastic bag or container to bring with you practically anywhere, too. A decadent combination of chocolate, strawberry, and vanilla that will fulfill your craving for sweets. If you love to relax with a refreshingly delicious orange creamsicle on a hot day, then this fat bomb is for you. This recipe is for all of you chocolate and peanut butter lovers. If you add a dash of allspice, you’ve got yourself a tasty treat with fall flavors. This is a mouth-watering combination of chocolate, peanut butter, and coconut. 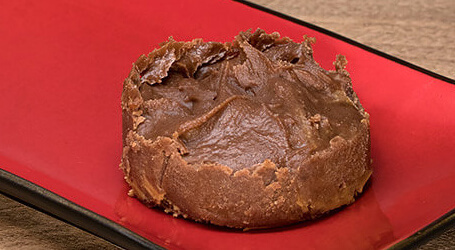 Crunchy, chewy, creamy, and chocolaty – all in one portable, delicious, and fat-filled snack. If you are reading this article, you may already know about the health benefits of a low-carbohydrate and high-fat diet like the ketogenic diet. But you may still be concerned about how some of the fat bomb ingredients will affect your health. Common fat bomb ingredients like butter, heavy cream, and cream cheese are believed to destroy our health and well-being, but is this true? After decades of debate, many researchers conclude that high-fat dairy should not be demonized. Contrary to the popular belief that high-fat dairy can cause heart disease, studies find no relationship between the two. In fact, high-fat may even be healthier than low-fat dairy, especially for people with colorectal cancer. These positive findings are partly due to the beneficial effects that CLA (the fatty acid that we talked about earlier) has on our health. CLA has potent anti-inflammatory and anti-carcinogenic properties, which explains why the consumption of 2 servings of high-fat dairy foods per day corresponded to a 13% reduction in the risk of colorectal cancer. Eating high-fat dairy with dinner may also help your body burn fat as you sleep. This allows your body to stay fueled on fat without having to secrete stress hormones and rely on sugar. We cannot leave the topic of high-fat dairy, however, without mentioning that some of its long-chain fatty acids can raise cholesterol levels. Contrary to popular belief, this may not be a bad thing because high cholesterol does not cause heart disease. As long as you eat plenty of low-carbohydrate vegetables, exercise, maintain low-stress levels and minimize your consumption of toxic ingredients, your risk of heart disease will be low (regardless of how high your cholesterol is). This does, however, raise another question — what about artificial sweeteners? Sucralose — commonly known as Splenda — is an artificial sweetener that is used in many fat bomb recipes, but isn’t it a toxic ingredient that we should avoid? Just hearing that something is artificial implies that it is toxic and poisonous, but the truth is that the line between natural and artificial is blurred. Some ingredients that are known as artificial, like sucralose, are identified as toxic just because they are chemically synthesized. On the other hand, natural ingredients like carrageenan seem harmless when you find out that they are extracted from natural foods. But just because carrageenan is derived from edible seaweed doesn’t mean it is healthy. In fact, studies suggest that the opposite is true. Carrageenan can be toxic to our digestive system. Sucralose, on the other hand, has been proven to be safe for human consumption. Every natural ingredient isn’t good and every artificial ingredient isn’t bad. Biochemistry is not meant to fit our way of categorizing the world, but we can still use scientific research to find out the safety of certain ingredients. Because of the popularity of artificial sweeteners, many of them have been studied in many animals (including humans) in many different ways. Sucralose is one sweetener that has been studied the most and is still surrounded by controversy. Sucralose, which is commonly confused with Splenda, is one of the most popular artificial sweeteners. It is calorie-free and 600 times sweeter than table sugar, but what does it do to our health? Please note that Splenda uses added filler ingredients to achieve the consistency of their sweetener. It tends to use maltodextrin, so it’s better to avoid. Try to find the pure form (usually found in liquid). Many popular health professionals, like Dr.Mercola and Chris Kresser, strongly advise against the use of artificial sweeteners due to their potential negative impact on the gut biome. This means that when we consume sucralose, most of it moves through our digestive tract untouched by our digestive processes and our gut bacteria. This review also addressed some of the studies that Dr. Mercola and Chris Kresser referenced as evidence that sucralose is bad for the gut biome. The researchers found that the studies were inconclusive because they did not directly measure the affects that sucralose had on the microbiome. Instead, indirect measures were used to make conclusions. Can the same be said about other artificial sweeteners like Aspartame? Another popular artificial sweetener is aspartame, commonly known as Equal or Nutrasweet. This sweetener has not been studied as much as sucralose, and the evidence is inconclusive. Many studies, however, point to the toxic effects that it can have on the antioxidant systems in rats — antioxidant systems that work like ours. Toxic effects are caused by aspartame and not sucralose because aspartame is broken down by the body and enters the liver, while sucralose stays in our digestive tract without being broken down until it is released in the feces. For this reason, it is best to stay away from aspartame. 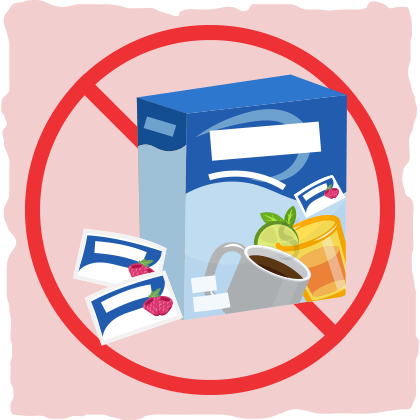 If you are still considering a non-calorie sweetener, however, what should you choose? Should you go with the more natural options like Stevia or Erythritol? Is Stevia Safe for Consumption? Stevia is the most “natural” no-calorie sweetener that we know of. 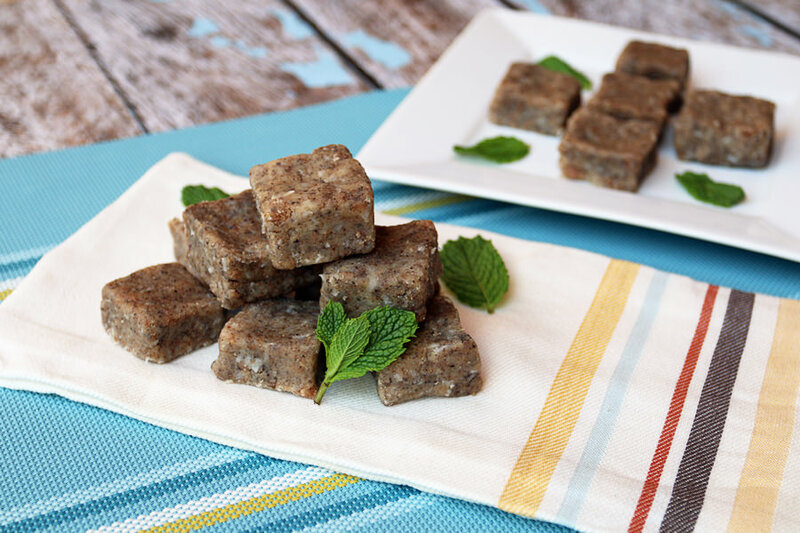 It is derived from the leaves of a green plant (that looks a lot like mint) and has been used as a medicine and a sweetener for hundreds of years, so it must be the healthiest sweetener — right? Many studies have concluded that stevia is safe and may have beneficial effects on blood pressure, blood sugar, and inflammation, but a recent study by researchers at UCLA is much more conservative. They found that some of stevia’s compounds may be mutagenic (they change DNA). For example, one of stevia’s compounds, stevioside, caused DNA breakage in blood, spleen, liver, and brain cells in rats. However, this only happened when the doses far exceeded amounts that we would normally consume. At normal physiological doses, stevia has been found to have anti-tumor properties — the opposite effect that the UCLA researchers found. These contradictory results can be explained by one principle: moderation. 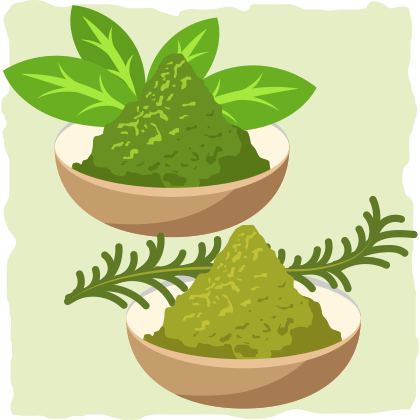 If you use stevia as a meal substitute, then you may experience negative side effects. 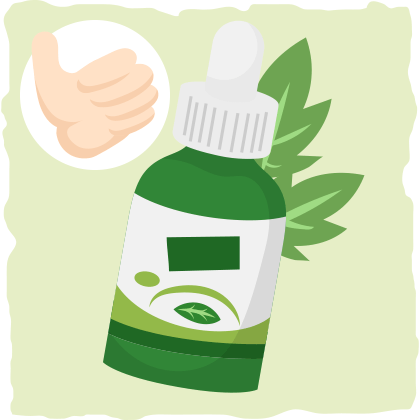 However, if you use it as a sugar substitute, then stevia will probably improve your health in many ways. Erythritol is a sugar alcohol that is a low-calorie (not a no-calorie) sweetener, and it is the least sweet of all the sweeteners mentioned (70% as sweet as sugar). The only negative effects that erythritol can cause are nausea and stomach discomfort. But this was only found in people that consumed 50 grams of erythritol in one sitting. 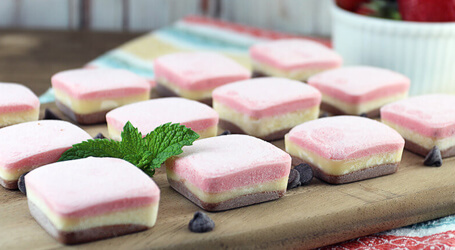 To give you some context, the Neapolitan Fat Bomb recipe calls for 25 grams (2 tablespoons) of erythritol, which is divided into 24 — 1.5 x 1.5 x .75 inch deep — fat bomb squares. Even if you indulge in all 24 fat bombs at once, you are not going to have any negative side effects. However, don’t just buy any sugar alcohol and assume that they will be as safe as erythritol. This is because other sugar alcohols like xylitol tend to cause more side effects at lower doses than erythritol. After sifting through the science, it is clear that erythritol, stevia, and sucralose are all safe when used as sugar substitutes. Stevia may have a slight edge over the other sweeteners because of its medicinal properties. The sweetest (and the most studied) of them all is sucralose, but its sweetness may increase your appetite causing you to eat more. The least sweet all of the sweeteners is erythritol. Using it as a sugar substitute can give you the sweet taste that you crave without stimulating your appetite as much as the sweeter sweeteners. Each one has a unique sweet flavor and is extremely versatile. By trying our fat bomb recipes, you’ll have the opportunity to taste each sweetener and find out which one (or combination) you like the most. Regardless of the sweetener you choose, it is best to limit its use. 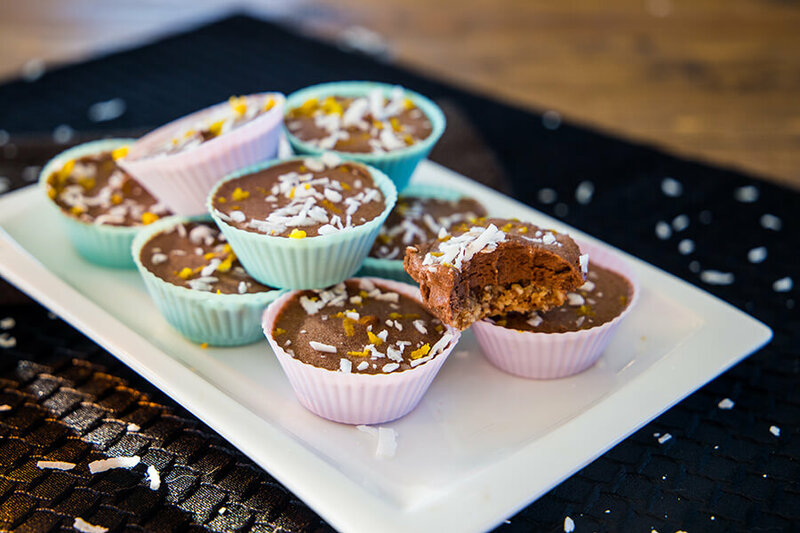 There are plenty of other ways to make your fat bombs tastier and healthier without using too many sweeteners. This list of health-promoting fat bomb ingredients will give you some ideas on what to use and why. Coconut oil is the perfect fat to use in sweet snack and dessert fat bombs, but this isn’t the only reason why you should always have it in your kitchen. Coconut oil has the highest percentage of medium chain triglycerides (MCTs) than any other fat source. But MCTs are technically saturated fat, so doesn’t this mean that they will be stored as fat and raise cholesterol? This is where some knowledge of biochemistry comes in handy. There are different types of saturated fats that are defined by the number of carbon atoms they have. MCTs (fats with 6-12 carbon atoms) are different from the long chain fatty acids (fats with more than 12 carbon atoms) because most of the MCTs are transported directly to the liver after digestion rather than flowing throw the lymph of the body like long chain fatty acids. Once the MCTs reach the liver they are converted to energy and other metabolites rather than being stored as fat. These metabolites include ketone bodies, which can be used by the brain and heart as an immediate form of energy. This is why coconut oil is known to help you get into and stay in ketosis. The MCTs in coconut oil can also increase your feeling of fullness, which will reduce your cravings for carbohydrates and sugar. If you are not noticing any positive effects from eating coconut oil, try adding pure MCT oil or caprylic acid oil (like KetoMCT) supplements to your fat bombs. MCT oil supplements contain mostly 8-carbon and 10-carbon MCTs and caprylic acid oil contain only the 8-carbon MCT — the most palatable and easily absorbable MCT. Taking a small amount (about a tablespoon) of MCT oil or caprylic acid oil will almost certainly send you into ketosis. Coconut oil alone may not convert to ketones because it is mostly made up of an MCT with the most carbon atoms, which makes it less absorbable than pure MCT oil and caprylic acid oil. We briefly explored the health benefits of high-fat dairy earlier in the article (especially from 100% grass-fed cows). Not only does it contain the anti-inflammatory fatty acid CLA, high-fat dairy also is a good source of every fat soluble vitamin (Vitamins A, D, E, and K) and contains varying amounts of every b-vitamin and vitamin C. No vegetable can compete with that. High-fat dairy also contains essential minerals like calcium, magnesium, phosphorus, potassium, selenium, and zinc, which make it the perfect food to help replenish the mineral loss that is a common side effect of the ketogenic diet. However, it is important to stick with low-carbohydrate dairy products like heavy cream, sour cream, cream cheese, cheese, and butter because milk and yogurt have too much sugar in them (even if the sugar isn’t added during processing). Contrary to popular belief, milk and yogurt are not the healthiest forms of dairy — regardless of what the advertisements say. In reality, high-fat dairy products have more vitamins, antioxidants, and healthy fats than their low-fat counterparts. Not only are spices flavorful, they are good for your health in a variety of ways. Cinnamon, for example, is a powerful antibacterial and immune system booster that may be able to prevent and treat antibiotic-resistant staph infections. Clove is another spice that has antibacterial properties, and it deserves special consideration because it has the highest antioxidant activity of all spices. 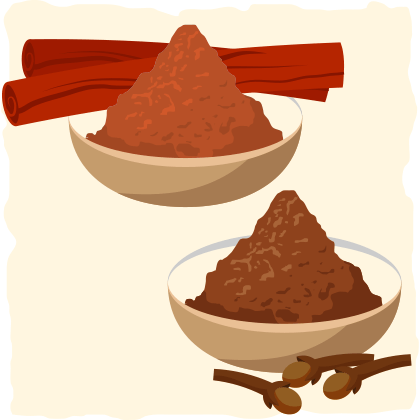 Sprinkle cinnamon and cloves together with allspice in your next fat bomb, and you will turn any bland dessert into a delicious treat with fall flavors. Herbs are another flavorful addition that you can add to your fat bombs, and they are packed with vitamins, minerals, and antioxidants. A couple tablespoons of fresh basil, for example, will turn a bland “pizza-ish” fat bomb into a savory pizza fat bomb that tastes better than a real slice of pizza. 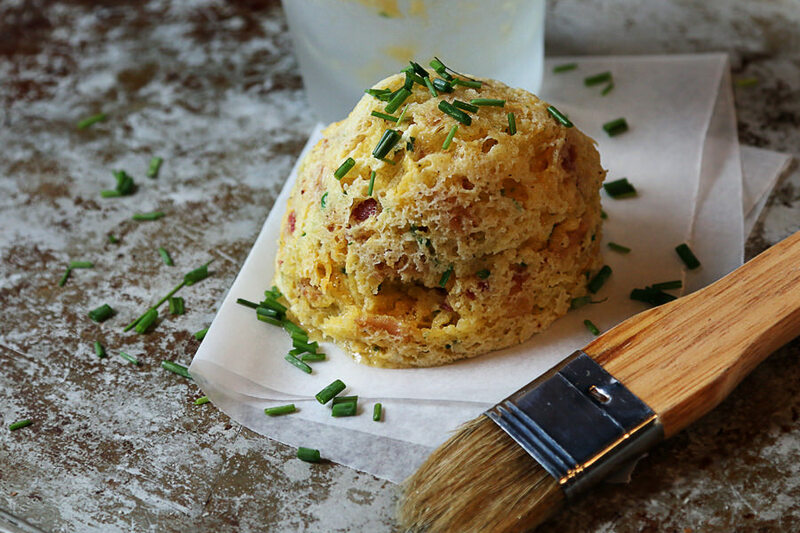 Another flavorful herb that can boost the flavor of savory fat bombs is rosemary. Even just the smell of rosemary can boost cognitive function, and just a sprinkle of the powder can make a savory fat bomb tastier. Yes, you can add fruit to your fat bombs! But make sure it is low-carb fruit like blueberries. Putting some blueberries in a chocolaty fat bomb is a great way to add some natural sweetness and health benefits (that you won’t get from sucralose or erythritol). Many low-carb fruits like blueberries are packed with anthocyanins — powerful antioxidants that protect us from heart disease and cancer, and may even boost cognitive function. 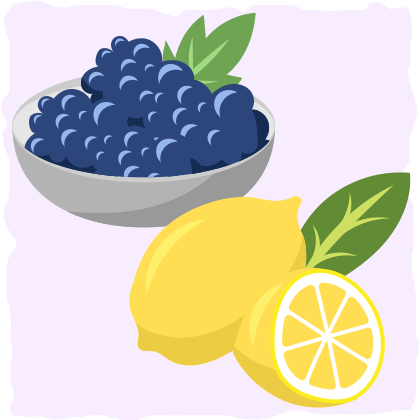 Lemon is another healthy low-carb fruit, and you can use it to add some sourness to your fat bombs. For example, we use lemon juice to add the tanginess to the Hollandaise sauce that we put on our Salmon Benny Breakfast Bombs. Lemons also provide us with unique flavonoids that have anti-inflammatory and anti-cancer effects on damaged cells, which is why many “detox” drinks have lemon juice in them. Your meal replacement fat bombs will never be complete without a low-carb vegetable or two. One of the healthiest and most flavorful ingredients that we use in the Salmon Benny Breakfast Bombs is a vegetable. What vegetable is that? Chives. Chives are a member of the Allium family of vegetables, which means they have similar flavors and health benefits as garlic, onions, and leeks. The active compound that is responsible for the health benefits that we get from Allium family vegetables is called Allicin. Allicin activates anti-inflammatory and detoxifying processes that protect us from disease, heavy metals, and brain injury. However, you don’t have to chop up chives to get these health benefits. 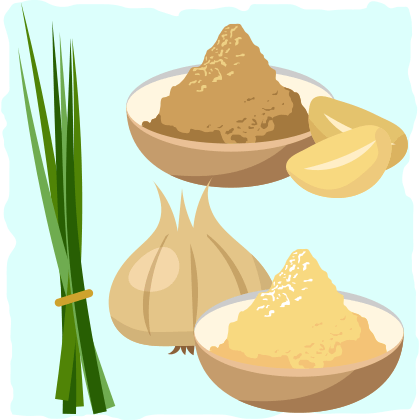 You can use garlic powder and onion powder instead. We use these two potent powders to make our Jalapeno Popper Fat Bombs even tastier. Leafy greens and other low-carb vegetables have many health benefits as well but don’t try to force them into your fat bombs — have them with your fat bomb instead. For example, you can put your fat bombs on top of a salad to make it a healthier and more fulfilling meal. Or, you can create a fat bomb salad to pair with a protein-rich piece of meat. For example, you could grill up a skirt steak and pair it with our Fiesta Slaw with Avocado Lime Dressing. If that doesn’t sound like something you’d like, you can go the classic route and pair up with a Mock Potato Salad. Nuts and seeds can provide the protein, fat, and fiber that are missing from your fat bombs. Seeds like flaxseeds, sesame seeds, and chia seeds also have a high lignan content, which protects us from inflammation, carcinogens, and cancer. To get these benefits, all you have to do is add them to your fat bomb. The most popular seed that you will find in fat bombs, however, is not flaxseeds, sesame seeds, or chia seeds — it is the cacao bean. Although you won’t find the cacao bean (the seed of the cacao tree) in many fat bomb recipes, it’s used religiously in its powdered form (cacao powder) in many keto-friendly treats. Take a peek at our Coconut Chip Cookies for some inspiration! Even if you don’t like the taste of chocolate, you may want to use cacao powder as a way to boost brain function and protect you from heart disease. To ensure that you get all of the health benefits of cacao, it is best to get raw organic cacao powder. Quality cacao powder is important because most of the cacao powders are processed with alkali, which makes it less healthy. Nuts are another great fat bomb addition. Many studies conclude that nuts are a health food that should be in everyone’s diet. This is because they are filled with fat, antioxidants, fiber, and protein that work together to improve health and body composition. Adding crushed nuts or nut butter to your fat bombs is one of the best ways to make them healthier, tastier, and more satiating. If you are lactose intolerant or allergic to dairy proteins, you don’t have to miss out on the delicious high-fat dairy-based fat bombs. 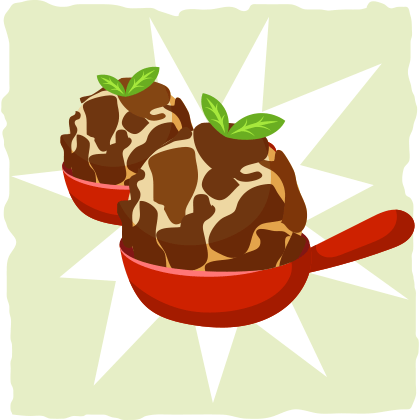 It is easy to make any fat bomb recipe into dairy-free fat bomb recipe. Whenever a recipe calls for butter, you can replace it with coconut oil or ghee (clarified butter). Ghee is butter with all of the potential dairy allergens removed. This way you can reap some of the benefits of dairy without the lactose and dairy proteins. You can also replace sour cream and heavy cream with coconut cream. Each coconut cream will have a different consistency, so it will take some experimentation before you get it right. Native Forest is a company that makes different coconut cream variations that you can use. So coconut cream and ghee can replace heavy cream and butter, but what if you want to try the cream- cheese-based Savory Pizza Fat Bombs? Say hello to cashew-based cheese. A company called Treeline makes delicious cashew-based cheeses in a variety of textures and flavors, and their soft cheese is the perfect replacement for cream cheese. In my opinion, Treeline’s cashew-based cheese can be a delicious alternative to cream cheese. I’ve used it to make vegan fat bombs before with fantastic success. If you are vegan or raw vegan, use all of the suggestions in the dairy-free fat bomb section (except for ghee because it is made from cow’s milk). Use coconut oil instead of butter, coconut cream to replace heavy cream or sour cream, and the treeline cashew-based cheese rather than cream cheese. By doing this, you can eat raw vegan and ketogenic at the same time. If you are a raw vegan that doesn’t use the stove or microwave, you can use a blender or melt your fats and prepare your fat bombs in a smaller bowl that is inside of a bigger bowl full of hot water. One of the hardest parts of any diet is making it simple and convenient for your lifestyle. This is especially true for the ketogenic diet. To restrict carbohydrates in a world where the most palatable and convenient foods are filled with sugar is no easy task. However, there is one thing that can make sticking to a ketogenic diet much easier than eating carbohydrate-laden, unhealthy foods — Fat bombs. 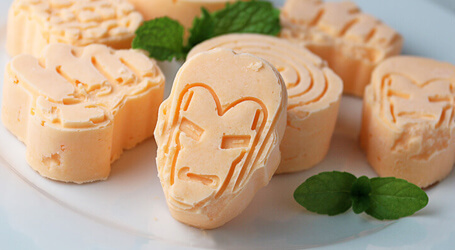 Fat bombs are delicious, versatile, and easy to make. You can create a healthy keto-friendly fat bomb version of almost any sugar-filled, unhealthy food, and satiate every craving you have without leaving ketosis. 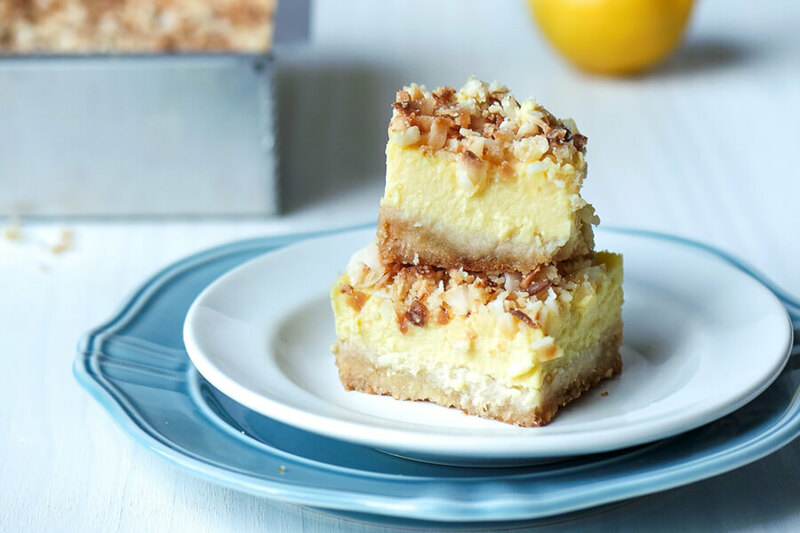 All you need is coconut oil, high-fat dairy like butter and cream cheese, a sweetener like sucralose, stevia, or erythritol, other ingredients like nuts, seeds, spices, herbs, low-carb vegetables and low-carb fruits, and a creative mind (or a recipe). Even if you cannot have dairy, you can still make (almost) any fat bomb recipe that you’d like. Simply replace all high-fat dairy with coconut oil, coconut cream, and cashew-based cheese.